Diamond, the birthstone of April, is by far the most popular gemstone in today's jewelry market. More Diamonds are sold than all other gemstones combined. Diamonds are known throughout the world as a symbol of eternal love and everlasting commitment. When a Diamond is passed down in a family, it will look exactly the same for 4-5 generations and hundreds of years. The word Diamond comes from the Ancient Greek word Adamas, meaning "indestructible and unconquerable". Diamond is the hardest natural substance known to man, 58 times harder than anything else on earth. The only thing in the world strong enough to even scratch a Diamond is other Diamonds. 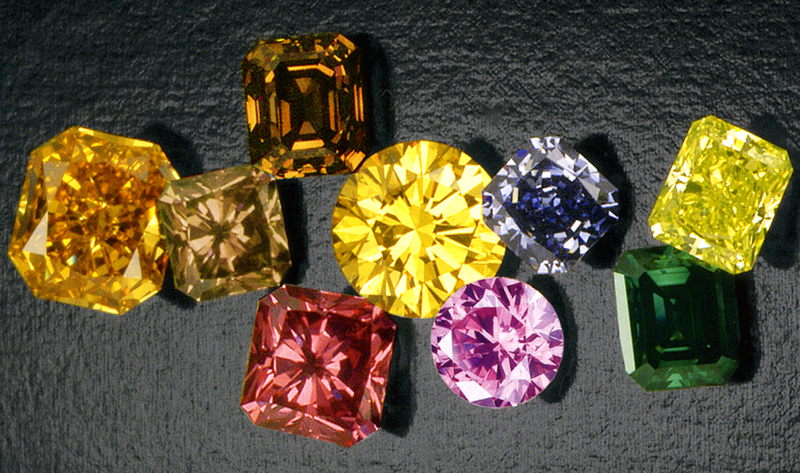 While Diamonds are generally known to be colorless, they can also be found in yellow, green, blue, red, orange, pink, brown, and black. Diamonds have a chemical composition and structure unlike any other gemstone. They are made of about 99.95% pure carbon, which is actually the same substance as the graphite used on the tip of most pencils. Diamonds are formed deep within the earth, over 100 miles beneath the surface, where immense pressure and heat change them from something plain and common to something precious and beautiful. 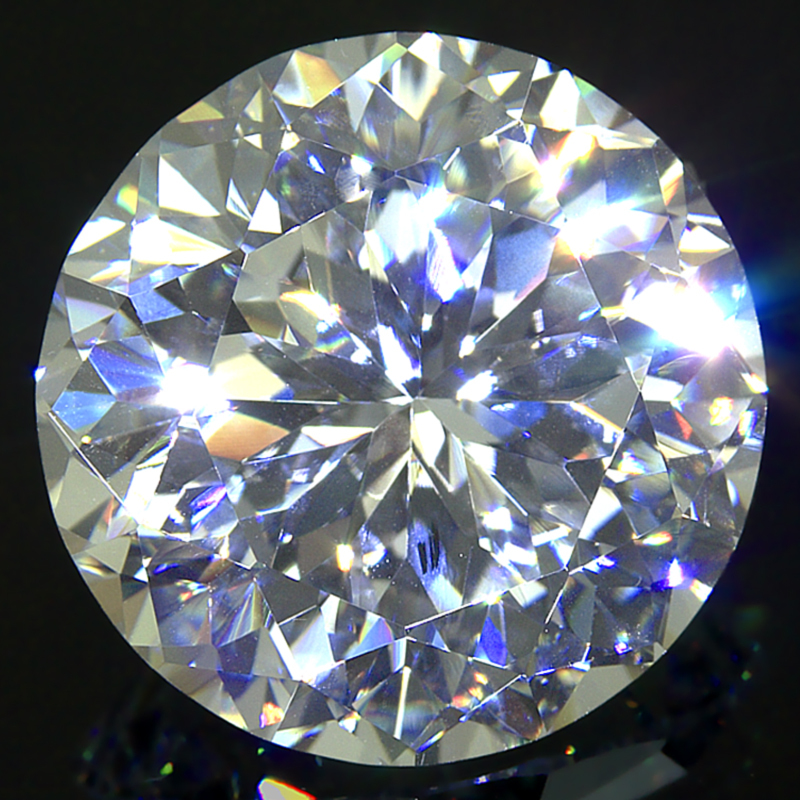 In order for a Diamond to form, the temperature must be within 1700 – 2400 degrees Fahrenheit, and the pressure must be 650,000 – 870,000 pounds per square inch. Volcanic activity carries these precious stones up close to the surface where they can be reached by humans. 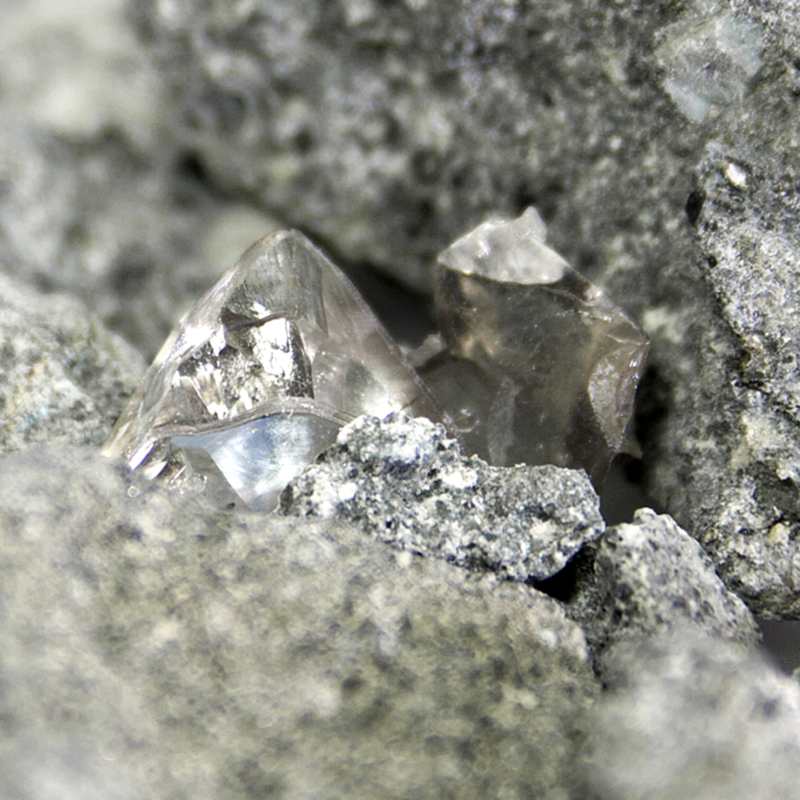 Most diamonds have been hidden within the earth for 1-3 Billion years before they were discovered and excavated. Each Diamond is truly 1 in a Million. 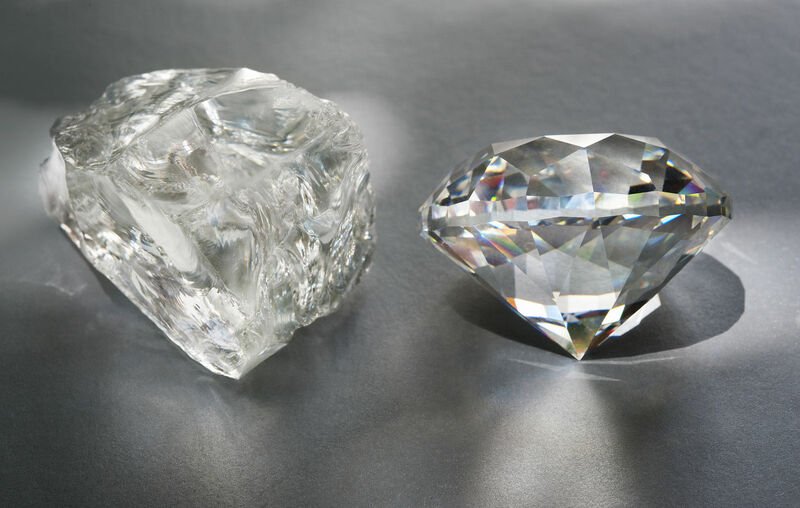 On average, most Diamond mines contain about 1 Million times as much rock as diamond. 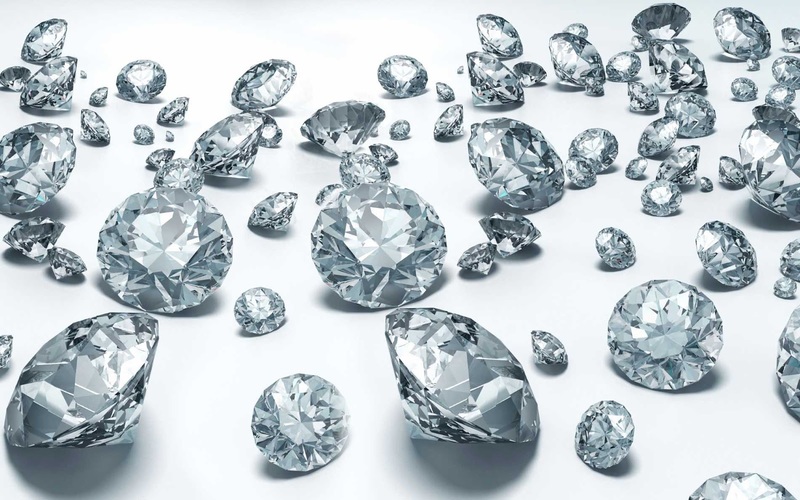 Approximately 200-250 tons of rock must be excavated and prospected to find a single Diamond. Of all the Diamonds discovered, only about 20% are gem quality. The other 80% of all Diamonds brought from the earth are not suitable for jewelry and are used for industrial purposes. Once sorted and identified, rough gem quality Diamonds must then be cut by experts to bring out their true beauty. This process can take anywhere from hours to weeks to execute the perfect cut that makes the Diamond sparkle with brilliant fire. The Diamond will then be carefully evaluated and graded to determine its true value. On average, it takes over 5 months for a Diamond to journey from the mine to a jewelry store once it has been excavated. Diamonds have been treasured throughout history. They were believed to promote courage, strength, and invincibility. Ancient Greeks believed that Diamonds were shards of falling stars that fell to earth. Ancient Hindus believed that Diamonds were created by lightning bolts hitting rocks. Ancient Romans wore Diamonds to ward off evil. According to Historians, the Diamond trade began in India as early as 400AD. The oldest known Diamond on record was discovered in India. It weighs 116 Carats and dates back to 1028AD. Diamonds rose in popularity in the 1400s when they were exported to Europe and became a fashionable trend among the wealthy elite. Today over 85% of all couples have set their love in stone by owning Diamonds. This video by Hearts on Fire Diamonds is an excellent depiction of the creation and journey of a Diamond. To view more of the beautiful Diamond jewelry available in Tallahassee, please visit our online Diamond Jewelry gallery.